The Christmas knitting is coming along swimmingly…or at least it is when I forget that I have less than four knitting days left! Whenever I actually pause to look at the calendar or think about what day it is, I go into a tailspin of panic. Just how much sleep can I deprive myself of and still be functional at work this week…? I did manage to add another repeat since I took these pictures (and the sun set and the cold front moved in…). 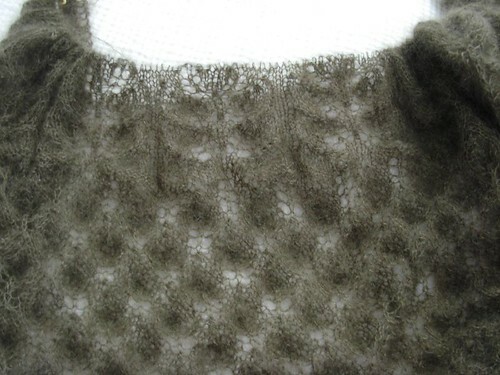 However…I have three full workdays ahead and these rows keep getting longer and I still have other presents to wrap. This could be a bit of a challenge. Why did I do this to myself, again? 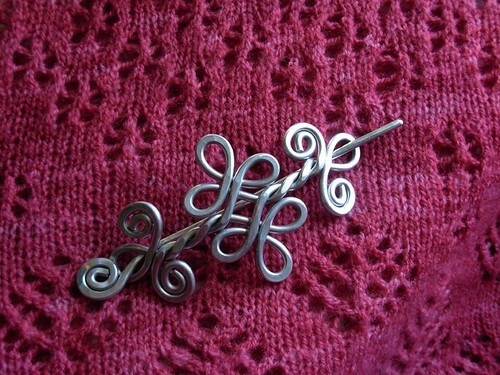 I also finally managed to get a picture of my new shawl pin, from Nicolas and Felice. I bought this a few weeks back after seeing Anne’s lovely new pin. I’d blame her for mine, but she was gifted hers, so I guess I can’t say too much. Well, that and not only is it really pretty, but it works really well! I also have some pictures from a Christmas adventure from yesterday, but I think I’ll share later…after all, I need to get back to work! 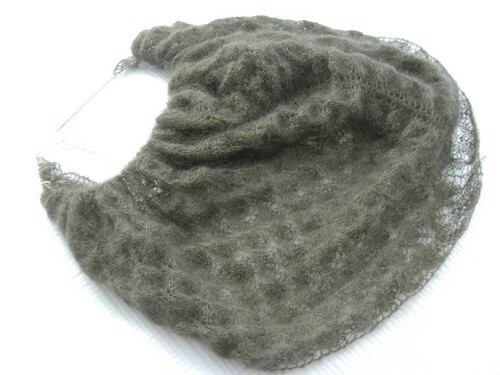 Your shawl project looks stunning! Can’t wait to see it when its completed and blocked. every time i look at that color i feel faint; i might have to break down and buy some!